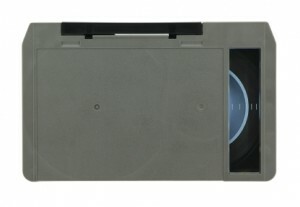 The Video 8mm was the alternative to VHS camcorder format, started in the mid 1980s and offered similar quality to the VHS family. Video 8mm, or as commonly known – Video8, is made up of the original Video 8mm, the more advanced Hi8 and the digital format – Digital8. We have specialized equipment to handle every flavor of Video8 and can handle Video 8mm, Hi-8 and Digital8. Whether you need Video8 to DVD, Hi8 to DVD or Digital8 to DVD, or Video8, Hi8 and Digital8 to files – we are here to handle it for you. For more information about the Video8 format, please contact us here. 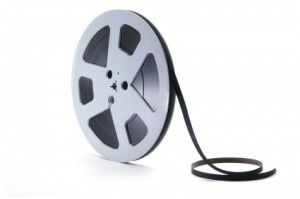 The 3/4″ U-Matic family, in use from the 1970s to the early 90s, was one of the first professional “enclosed reel” formats. At these early days of analog videotapes, the wider the actual recording tape was, the better picture quality it offered. ¾” U-Matic comes mainly in two flavors – “low-band” and its higher quality counterpart “high-band”, marked by gray and red tapes respectively. Since ¾” video has been massively used throughout the world, many institutions and even professionals still have archives of this format. One of the main challenges with preserving ¾” video is that as time goes by, less and less U-Matic machines are available, especially in shape good enough for high-quality transfer. We at Advanced Media, have invested in buying and maintaining several U-Matic VTRs for both Hi-band and Low-band and are easily capable of digitizing and transferring ¾” video to any possible digital format. For more information about The U-Matic Family, please contact us here. 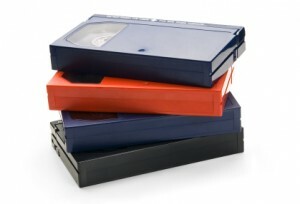 The DV family of videotape formats is possibly responsible not only for the gradual transition from analog to digital media, but also for revolutionizing the entire movie and TV industry as we know it, and was possibly one of the main evolutionary steps from the traditional approach to video production all the way to the most current applications of digital and tapeless recording. The DV format, which has started in the mid-90s with film & TV production and was introduced into the consumer electronic market by early 2000s, has been in great use ever since by both professionals and consumers alike. The DV format is comprised of DV, DVCAM, MiniDV, DVCPro and several other variants, including the HDV and DVCPro HD formats. 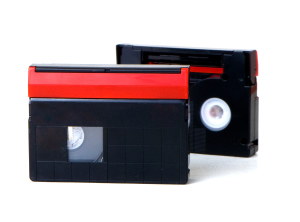 It is very likely that a vast amount of home videos and family taped history and memories have been taped on the various DV formats in the period of 2000-2010. The benefit of DV is that it is relatively a stable, digital format and it offers relatively high quality video. 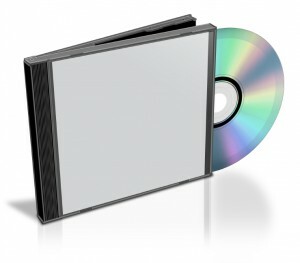 Some of the main issues with DV preservation and transfer to DVD or files, is the connectivity issues. DV equipment generally relies on 4-pin or 6-pin “FireWire” cables which are very unstable, and which are being rapidly discontinued by computer manufacturers. 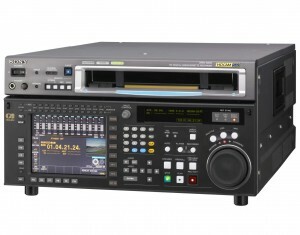 We at Advanced Media offer a large range of DV VTRs that can handle any type of DV, be it DV, DVCAM, MiniDV, DVCPro and HDV, and at either NTSC or PAL, and using professional broadcast equipment, able to transfer it to DVD, files or other tape types. For the professionals in you, we use mostly SDI connectivity to maintain highest picture quality. For more information about the DV format, please contact us here. The Disc or the optical digital family, includes primarily the DVD, Blu-ray and to a lesser extent, LaserDisc formats. We carry all optical disc formats and can digitize (create digital files from a video source) from any type of LaserDisc, DVD, including DVD-R, DVD-ROM, DVD-5, DVD-9 and Blu-ray, including BD-25, BD-50, BD-J. While we believe that DVDs and Blu-rays are going to stay for a while and are a good, tangible and high-quality preservation and archival format. we do recommend creating files from optical discs, since they are gradually becoming obsolete as well. For more information about the Disc Family, please contact us here. Much like your memories being stored on video, many families all over the world have stored history and legacy recorded on various audio formats – be it audio cassettes, CDs, DATs, reel 2 reels as well as others. Whether you are a consumer or a professional, it is likely that at some point in time you had some audio recordings of value in your personal and family history attic. 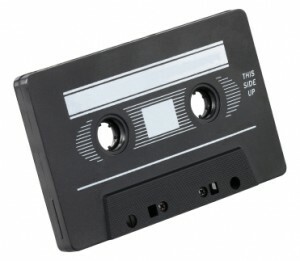 Older audio formats typically need to go through digital restoration process, since the noise level on older formats and the recording equipment that was often used, is very distracting and noticeable compares to today’s standards with newer digital equipment. We at Advanced Media have converted, restored and preserved thousands of audio tapes, CDs and reels for individuals and institutions alike. For more information about the Audio family, please contact us here. NTSC & PAL are abbreviations for analog standard-definition TV broadcast standards. NTSC is a broadcast standard that runs at 30 frames per second and is the standard in the US, Canada, most of South America and several Asian countries, such as Japan and South Korea. PAL is the TV broadcast system used throughout the rest of the world, including Europe, Africa, the Middle East and parts of Asia and South America, and runs at 25 frames per second (very close to film speed which runs at 24 frames per second). Today, many countries have switched, or are in the process of switching to digital broadcasting, thus formally and gradually replacing and ending the PAL & NTSC era. 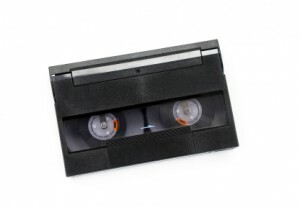 While various specialized VHS & DVD players as well as TV sets, are capable of displaying both standards, in reality most aren’t, and will result in an inability to properly display and review tapes and discs, thus diminishing the results of preserving your family history. One of the most important factors in NTSC and PAL conversions, is that not all converters and conversion processes are alike. In fact, they run the gamut, ranging from standard-quality processors that would result in relatively softer (blurry) image without motion correction, and all the way to very high-end convertors that yield very pristine and clear picture with very little image degradation. At Advanced Media we offer various solutions for NTSC & PAL conversions, anywhere from standard to very high-end fitting broadcast. We believe in offering solutions and options for anyone seeking to preserve their family most unique history and memories. For broadcast purposes we use Teranex Converters with HD-SDI and SD-SDI connections. For more information about NTSC & PAL Conversions, please contact us here. For more information about the Pro formats, please contact us here. If you are reading this section, you may have a format not covered in any of the families listed above. That would include 1”, 2”, ¼” reel-to-reel, D1, D2, D3, D5 and other unique, obsolete formats. For more information about Other formats, please contact us here.